Need a trade show rental booth in Dallas, without the stress? It’s true! Exponents offer full-service rental booth design and installation for any size booth. Start by choosing your booth’s size. Don’t you just hate when trade show booth rental companies promise one thing and deliver something totally different? So do we. That’s why we founded Exponents, a full-service trade show booth design and build company. 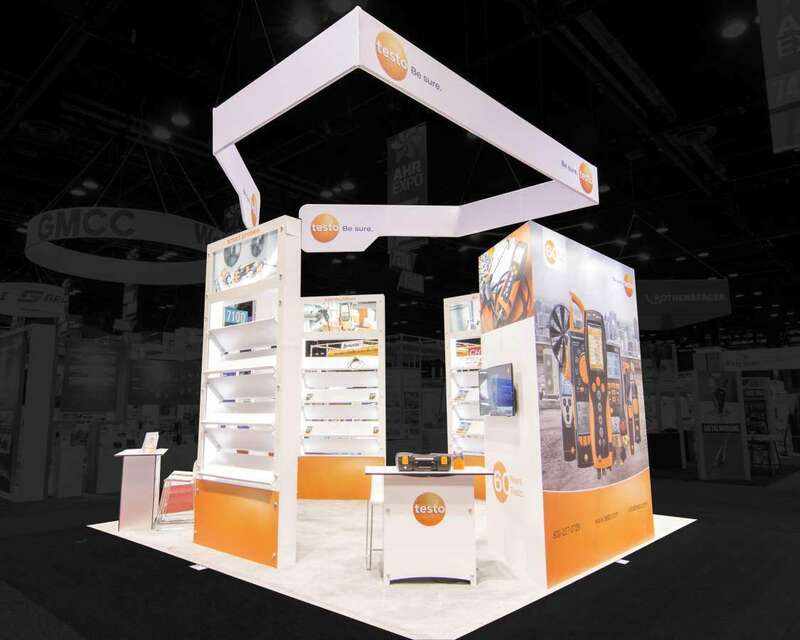 Our mission is to take a headache out of trade show display rentals. Our team handles every single aspect of booth design, setup, show admin, delivery, takedown, and storage. exactly as you would want it on your shows first open day. LOOKING FOR TRADE SHOW BOOTH RENTALS IN DALLAS? Are you looking for a trade show exhibit rentals designer and builder for your next event in Dallas? If yes, then we at Exponents have got you covered with our offerings of trade show rental displays in Dallas and all major trade show destinations in the United States of America. With 30 years of experience and expertise in collaborating with top brands to add dimension to their trade show participation, we are one of the leading companies for trade show booth rental in Dallas. 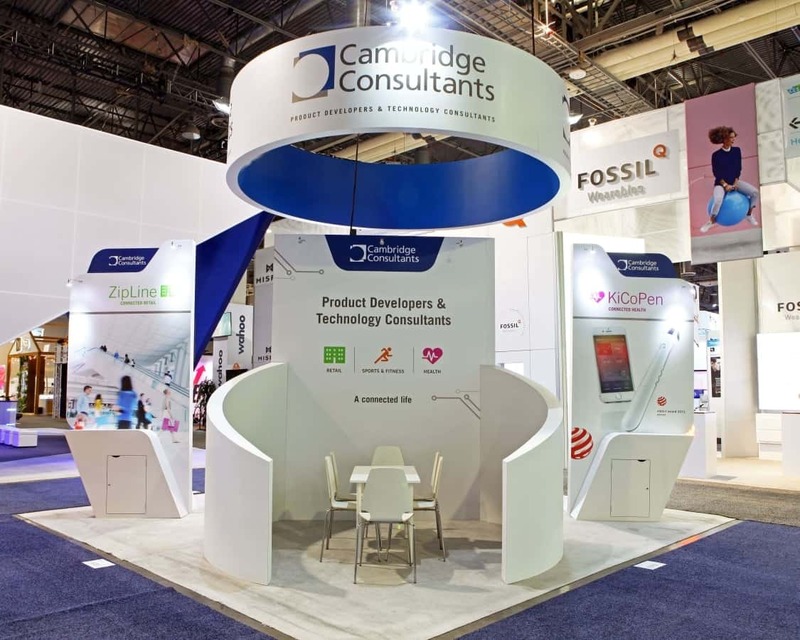 We offer services of design, build and delivery of trade show exhibit rental in Dallas along with end to end services for support on filling up of complex participation forms and installation, on-site supervision and dismantling of trade show exhibit rentals across more than 50 locations in the country. With proven capabilities of an indigenous booth manufacturing technology, large-scale brand graphics printing and teams of consultants, ace designers and concierge services staff, we enable your marketing executives to address all requirements of a unique and awesome booth rental in Dallas. WHAT CAN END TO END SERVICES YOU GET FROM EXPONENTS? Marketing executives from across a diversity of industry verticals rely on the experience and expertise of Exponents to add dimension to their trade show participation. With a full package of the best design, build and delivery of trade show rental displays in Dallas and on-ground support we cater to all your requirements of trade show exhibits. We offer fixed and open prices on our full range of trade show booth rental in Dallas to streamline your financial planning for the event and create value from your dollar spend. Our dedicated project manager is your one stop solution to all challenges, walking you through all stages of the project from conceptualization to commissioning. 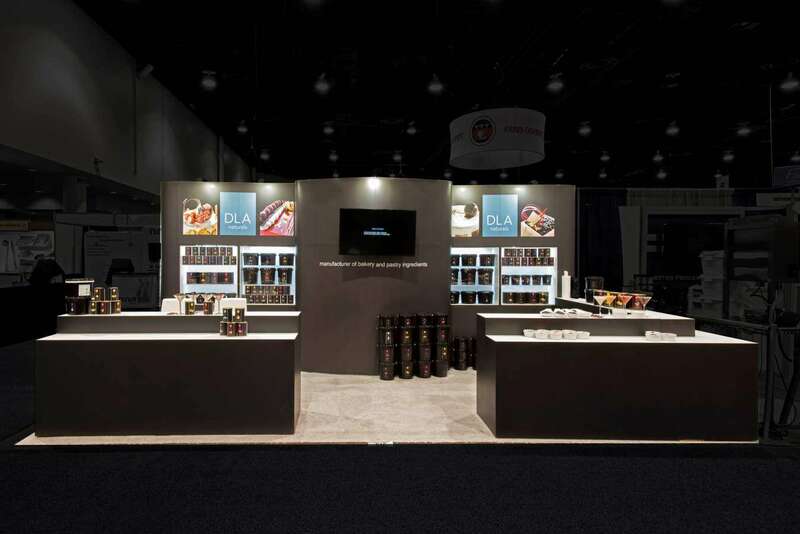 We offer you 500 standardized trade show display designs to choose from. 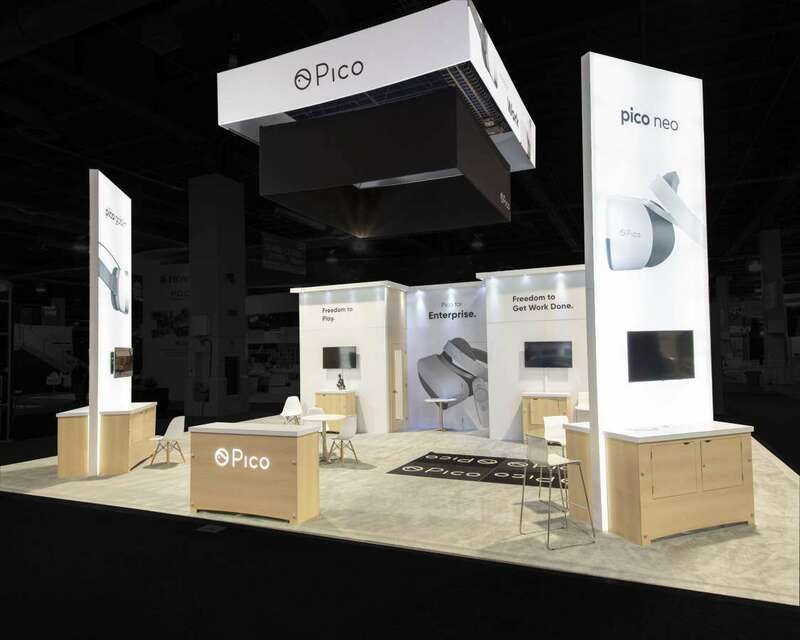 You may customize your trade show exhibit rental design with add-on features or opt for a completely unique trade show exhibit rental design. We leverage our indigenous booth manufacturing technology and the finest quality of materials and fabrics to build your trade show exhibit rentals. We stage your trade show exhibit rentals at your site to enable you to experience certainty and steer clear of technical and functional glitches. Hire our staff team to receive complete on-ground support for the installation, supervision and dismantling of your rental exhibits in Dallas. Buoyed by the presence of excellent trade show venues, a local economy that has consistently been on the trajectory of economic growth and an active trade show calendar, Dallas is one of the most competitive trade show destinations in the United States of America. While the interplay of the factors conducive to the participation of trade shows attracts marketing executives of brands from across industry verticals, it also makes every trade show a highly competitive affair with a very thin margin for error and the need to build a unique trade show presence. Scaling success at trade shows in Dallas calls for, innovation in designing the trade show displays in Dallas and a vibrant and seamless color coding of the custom trade show exhibits. It also calls for institutional knowledge on the part of the trade show exhibit rental builder in Dallas about the booth size, floor plan, built environment and layout, besides being abreast of contemporary trade show booth rental trends and practices. With a string of successful collaborations with industry-leading brands to fulfill their trade show booth rentals in Dallas, we know and understand the trade show landscape of Dallas like nobody else. With one of the largest concentrations of headquarters of publicly traded companies in the world, Dallas is the home to 9 Fortune 500 companies within city limits and further hosts 22 Fortune 500 companies in the DFW Metropolitan Area hailing to diverse industry verticals such as petroleum, telecommunications, automobile, aviation, healthcare, technology, software, retail, food processing and consumer electronics. Dallas hosts world-class trade show venues that augment the city’s credentials to host mega marketing events, conventions, and conferences. Some of the most important trade show centers in Dallas are – Magnolia Hotel Dallas Downtown, Dallas Market Hall, Plano Center, Gaylord Texan Resort and the Kay Bailey Hutchison Convention Center. HOW EXPONENTS NAVIGATE YOUR BRAND TOWARDS SCALING TRADE SHOW SUCCESS IN DALLAS? At Exponents, we take cognizance of the individuality of your brand and consequently look forward to fulfilling the requirements of your brand. 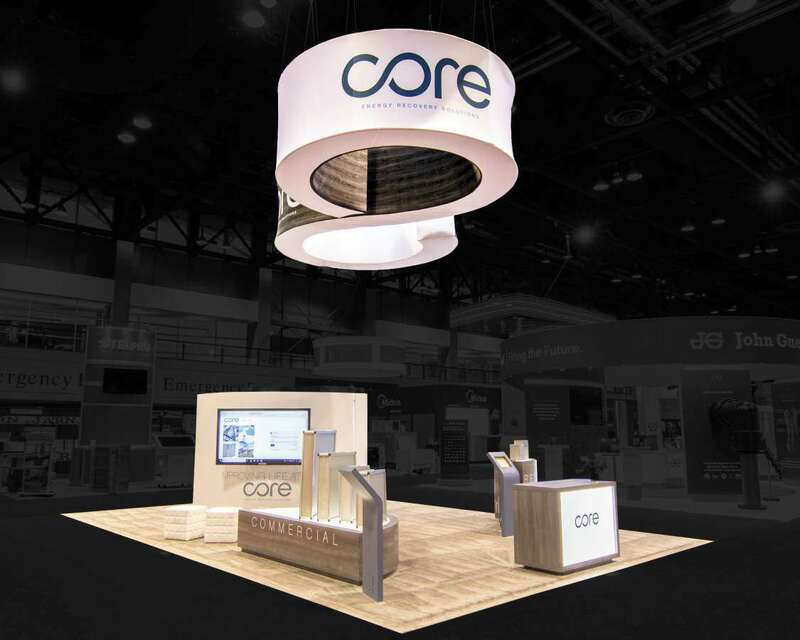 We offer more than 500 pre-built designs for trade show displays Dallas for you to choose from, each of these a product of the expertise and experience of our team of ace designers. You may seek to customize the booth rental and share your requirements of add-on features and extended functionality. 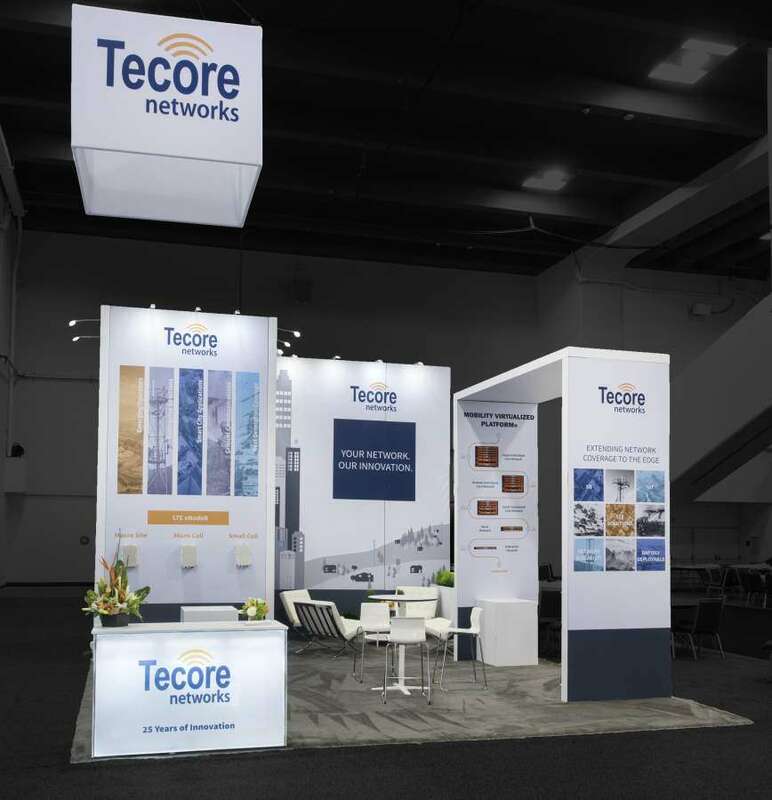 We offer affordable and best customizable trade show exhibit rental designs in Dallas to fulfill your requirements. You may also ask for a fully customized and unique design for your trade show booth rental in Dallas. We will conceptualize the design afresh from the ground running to give you the precise design that you want. Exponents collaborate with your marketing team to identify and resolve all challenges coming in their way to enable them to get a completely hassle-free experience of participating in the trade show. Our project manager streamlines a plan of action for you to get started with filling up the necessary forms for participation in the trade show. Our ace trade show exhibit rentals designers get in touch with your marketing team to understand your brand philosophy and positioning. 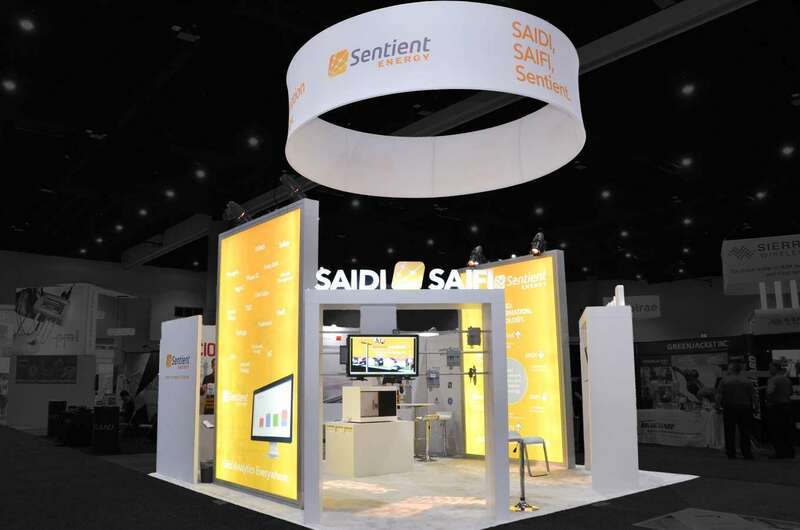 We listen to your marketing team and enable them to visualize the best possible trade show booth designs and themes. 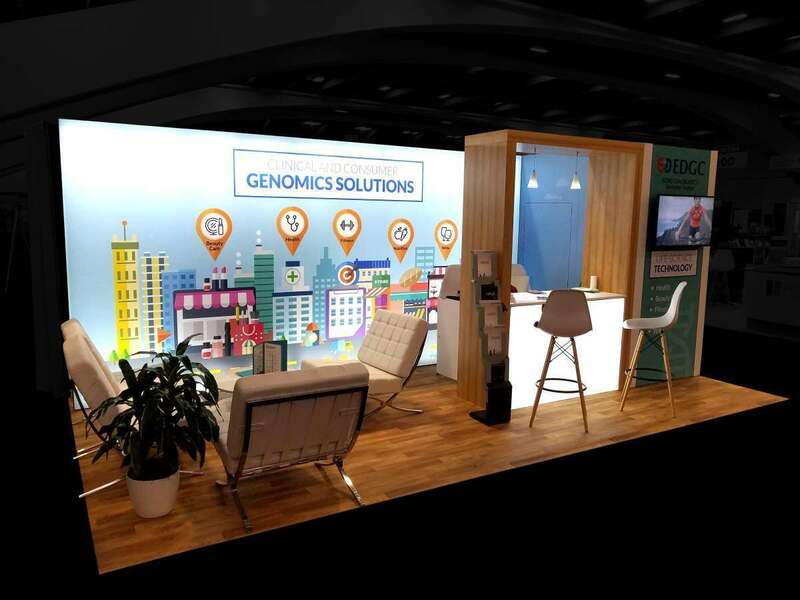 Once you choose a trade show exhibit rental design, we seek your inputs on custom requirements and add-on features to lend it a more customizable touch that matches your brand value proposition. 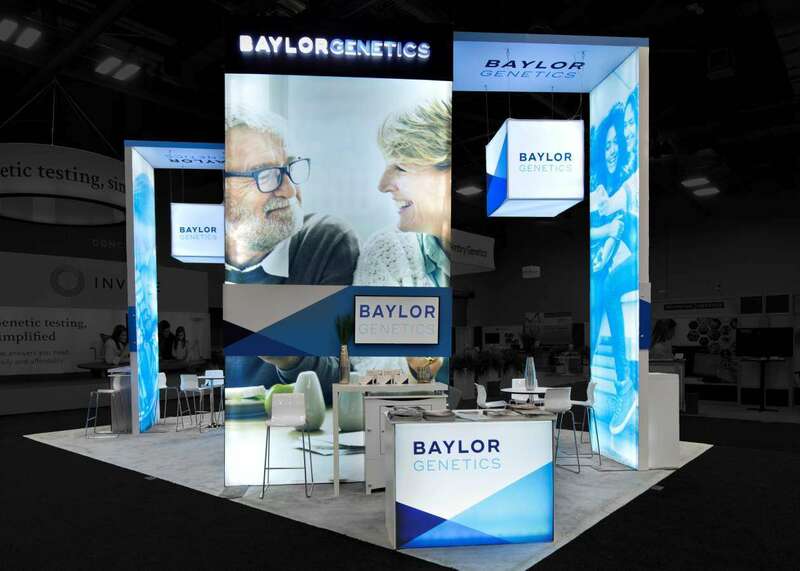 We build your trade show rental displays in Dallas by leveraging our indigenous booth manufacturing technology and high-quality fabrics and materials and imprint it with large-scale brand graphics and content. We also deploy a two-stage demonstration policy to stage your trade show exhibit rentals, first at our factory premises and then again, at your site. You get to visualize your Dallas trade show exhibits before-hand and inspect the functionality and performance against set quality standards and your custom requirements. Your trade show rental displays in Dallas get delivered to you just in time to avoid last minute hassles and glitches. Your marketing team also gets complete on-ground support for the deployment, supervision, and dismantling of the trade show exhibit rentals. 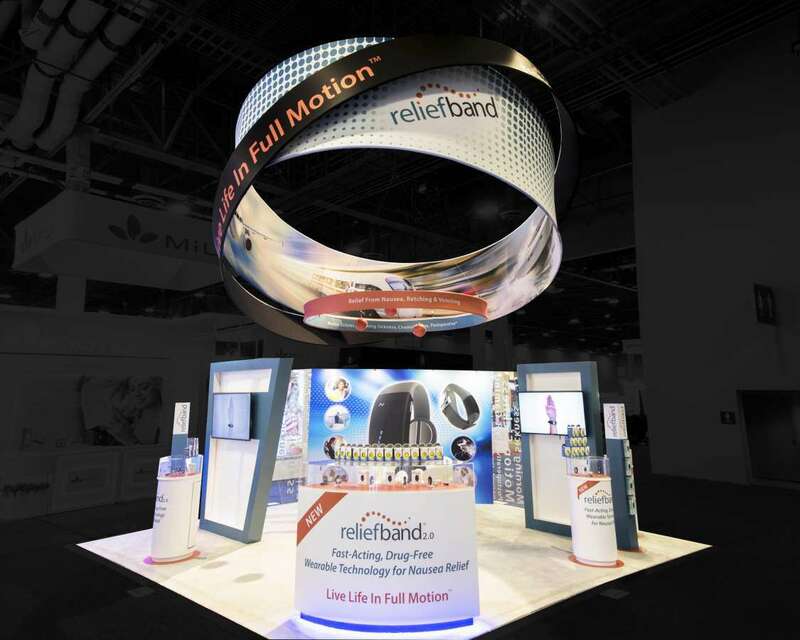 WHAT YOUR BRAND NEEDS TO ACHIEVE TRADE SHOW MARKETING GOALS? At Exponents, our team of ace consultants enables you to translate your trade show participation goals into what it takes to achieve them. We engage with your marketing team to get an insight into your goals, targeted return on investment and budget and enable you to visualize what your team shall require to pull off a great trade show participation experience. 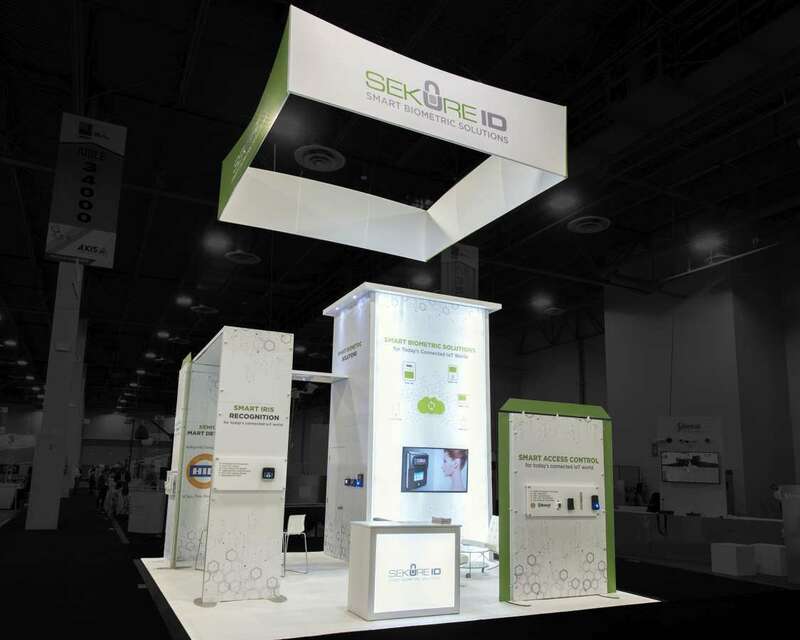 WHAT IS SPECIAL ABOUT TRADE SHOW BOOTH RENTALS FROM EXPONENTS? Unlike other contemporary trade show exhibit rental designer and builder, we at Exponents offer you fixed price designs. Yes, we offer pre-committed and open prices on our full range of trade show exhibit rentals and support services. With our fixed and open pricing model, we enable your marketing executives to get a crystal clear insight into the deliverables and the corresponding prices. Our transparent pricing enables your marketing team to traverse the distance from trade show participation goals to customizable solutions within a budget. At Exponents, we lend clarity to your trade show budgeting, financial planning and determination of your outlay. Our open pricing is an endeavor to empower you with all the information on cost and performance particulars so that you get to objectively assess the merit of participating in the trade show by juxtaposing the costs incurred on your trade show rental displays in Dallas against the expected return on investment. Decide an Outlay: With our open pricing, you get to decide on a budget. 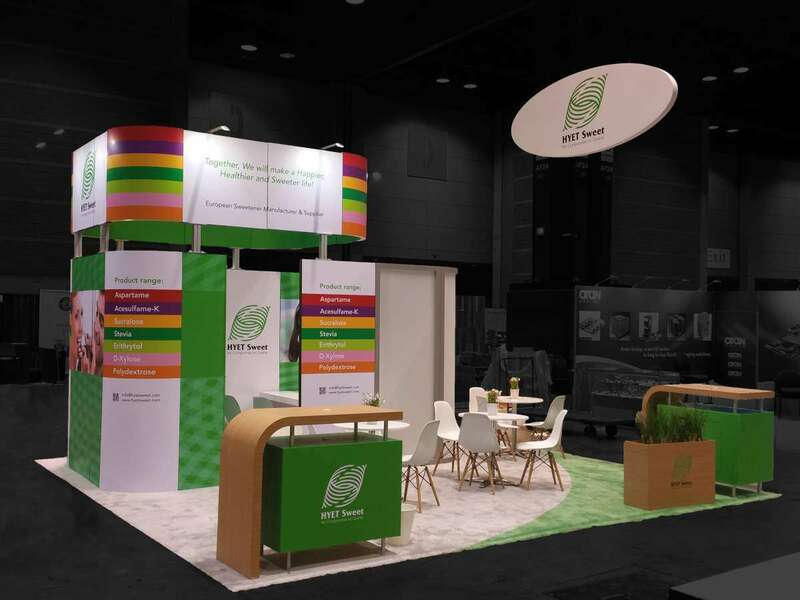 In other words, we empower you with information on what to expect against a said price with crystal clear visuals of trade show booth designs. Greater Financial Control: Our fixed and pre-committed prices allow you to stay in control of the finances. At Exponents, what you see is what you pay, nothing more. When you choose us you steer clear of the financial risks of add-on billing and hidden costs. Match Prices to Performance: Not only the prices, we also pre-commit the deliverables so that you get to match them. We match commitments with the performance.